Which is great, except it was against my team. At least I got me another Adam Jones bobblehead. San Diego Padres (3) at Tampa Bay Rays (5). The Rays FINALLY snap their losing streak and prevent the sweep. Hopefully this is a sign that Tampa Bay is turning things around. They get to face the weak Diamondbacks this weekend allowing the Upton brothers to battle. Their record improves to 43-29, still tied for second. 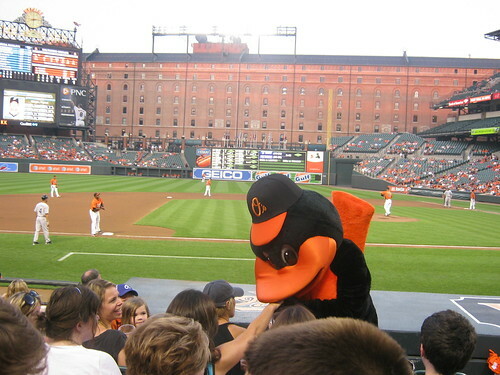 Florida Marlins (5) at Baltimore Orioles (11). Kept forgetting that Baltimore scored 11 when I recounted the score. Oh well, the Fish were miserable. Nate Robertson only went two and one-thirds and the Fish lost their lead in the 3rd, never able to come back. At least Alex Sanabia’s debut went ok (not the best, but ok). The Orioles just kept POUNDING the outside corner and the Marlins kept swinging at those bad pitches. I swear I saw five straight strikeouts with that happening over and over again. Florida stays just shy of 0.500 at 35-37 while Baltimore improves to 0.278 with 20-52.